O virgin of the Poor, May you ever be blessed! And blessed be He who deigned to send you to us. What you have been and are to us now, you will always be to those who, like us, and better than us, offer their faith and their prayer. You will be all for us, as you revealed yourself at Banneux: Mediatrix of all graces, the Mother of the Saviour, Mother of God. A compassionate and powerful Mother who loves the poor and all People, who alleviate suffering, who saves individuals and all humanity, Queen and Mother of all Nations, who came to lead all those who allow themselves to be guided by you, to Jesus the true and only Source of eternal life. Banneux Notre-Dame is a poor farm village in Belgium which is built around its church. Twelve days after Our Lady of the Golden Heart’s last appearance to the five children in Beauraing, Belgium, she appeared in a small farm village called Banneux, approximately fifty miles from Beauraing. On Sunday, 15 January, Our Lady appeared to eleven-year-old Mariette Beco, the eldest of seven children. Because Mariette was not doing well in Catechism, she stopped attending classes for her Holy Communion. Her father, an unemployed wire maker, was known for his resentment and unfaithfulness to God or the Church. His opinion caused a lack of faith throughout the family so God was given neither love nor honor in their home. In spite of this, however, Mariette kept a small image of Our Lady and a rosary she had found on the table beside her bed. Occasionally, she prayed the rosary before going to sleep. It was a very cold evening in the winter of 1933 and Mariette sat by the front window watching for her brother, Julien, to return home. She pulled open the curtain, for a clear view when she saw the figure of a Lady standing in the yard, surrounded by a bright light. Exceptionally beautiful, she wore a long white gown with a blue sash. Mariette could see that she was barefoot with just a gold rose between her toes and that she stood just above the ground on a cloud-like surface. Although it was a very cold winter night, this beautiful Lady showed no signs of being cold. Mariette insisted that her mother come to the window to see for herself. Reluctantly, Louise went to the window where she saw a white silhouette but could not distinguish a figure. Calling the vision “a witch,” Mariette’s mother closed the curtain blocking the view. But Mariette would not accept this and opened the curtain again. “She is beautiful, Mama. She is smiling at me.” Her mother paid no further attention. Mariette then noticed that a rosary was hanging from the lady’s blue sash and its crucifix was the same color gold as the rose between her toes. She took the rosary she had found on the road and began praying it. When she looked, again, out the window, she could see the lady’s lips moving but she said nothing that Mariette could hear. Mariette had prayed a part of the rosary when the Lady raised her hand and motioned for her to come out. Mariette asked her mother for permission to go outside but her mother refused, telling her to lock the door. By the time Mariette returned to the window, the Lady had disappeared. The following Monday, Mariette told a friend at school what had happened. Her friend told her to see a priest. She reluctantly agreed but as she came closer to the priest’s office, she became frightened and ran away. Her friend told the priest, Father Louis Jamin, what Mariette had told her. Father Jamin believed that Mariette was influenced by the recent apparitions at Beauraing and dismissed her story. He did, however, ask the friend to tell no one about this. Although the apparition did not return for a few days, it began to have a deep effect on Mariette’s spirituality. She returned to Catechism with a new enthusiasm, knowing her lessons perfectly. By this time, she had developed a trust in Father Jamin and told him exactly what she had seen. He told her to pray to Our Lady for guidance. On 18 January, Mariette hurriedly left her home and began running around her yard. She then fell to her knees and entered a state of deep silent prayer. In a repeat of the first vision, Mariette saw a bright form of light which increased in size as it passed through trees, finally changing into a woman’s silhouette. Our Lady was now about a yard away and facing Mariette. She was completely surrounded by light. Her feet did not touch the ground but instead, rested on what appeared to be a cloud. This vision resembled other images of Our Lady of the Poor, corresponding to testimonies of the apparition which had been given since the beginning of the nineteenth century. The apparition made a gesture to Mariette and stepped back allowing time for her to follow. Mariette’s father, out of concern for his daughter, called a neighbor for help. 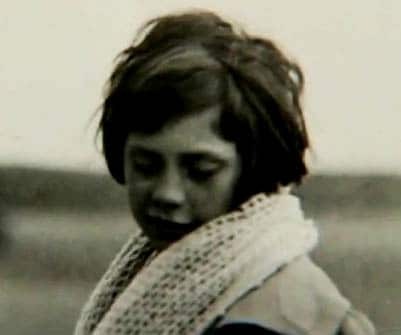 The neighbor, Michel Charleseche, came with his twelve-year-old son but they saw no likeness to Mariette’s description. 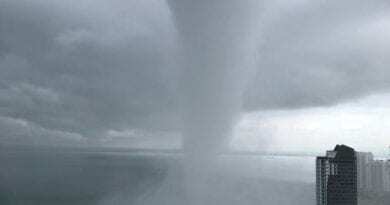 Mariette loudly said, “She is calling me” and began running toward the main road. She suddenly stopped running and, by a spring, fell to her knees. She then heard a voice which said, “Put your hands in the water! This fountain is reserved for Me. Goodnight. Goodbye.” Our Lady then disappeared. Later that evening, Father Jamin went to the Beco’s home. Mariette’s father announced that he wanted to convert, make Confession and go to Mass. This was surprising to Father Jamin. The following day, the Virgin, again, appeared to Mariette. She was surrounded by seventeen people but only Mariette could see her. She asked Our Lady who she was and the virgin replied, “I am the Virgin of the Poor.” They went together to the spring and Mary said, “This spring is reserved for all the nations, to bring comfort to the sick.” She then said, “I will pray for you; goodbye.” Our Lady disappeared into the night. 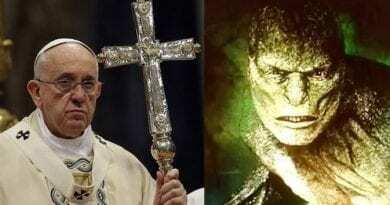 It was the following day (20 January) when the fourth apparition took place. This time, there were thirteen witnesses, including Father Jamin and two journalists. During this apparition, Mary requested, “I would like a small chapel.” She then placed her hands upon Mariette’s head and traced the sign of the cross. After this, Mariette lost consciousness. The apparitions stopped until 11 February. People began to ridicule Mariette, calling her “Saint Bernadette.” At this time, only Mariette believed that the Virgin of the Poor would return and she continued to pray in spite of the bitter cold. 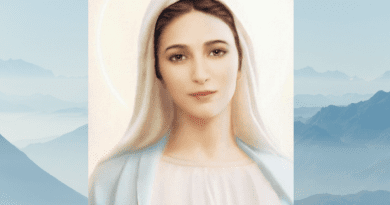 On the anniversary of the apparitions in Lourdes (11 February), Mary, once again appeared to Mariette. As in the past, Mariette ran to the spring, fell to her knees and dipped the tip of her rosary into the water. “I come to alleviate sufferings,” Mary said to her. The following day, Mariette received First Communion from Fr. Jamin. Understanding that the Virgin had shared a secret with her, Mariette cried with her face against the cold ground. The next apparition came to Mariette on 20 February. Mariette, understanding that this would be her final vision, bowed to the earth in agonizing sobs. Mariette’s father converted after the first apparition. In Banneux, the power of the Virgin was realized and followed immediately. Father Jamin remained hesitant for a while before publically admitting his belief in the apparition. Almost immediately, miraculous cures occurred. The great number of miracles that happened were overwhelming. An investigation committee was formed in March of 1935. Monsignor Leroux, director of the diocesan major seminary, headed this investigation. On 18 February, 1937, after seventy-three people had testified, the commission’s work was complete. The entire file, consisting of four-hundred and twenty-eight pages and twenty-one documents, was sent to the archbishop of Brussels-Mechlin, and then on to Rome. On 19 March, 1942, the public cult of Our Lady of Banneux was authorized by Monsignor Louis-Joseph Kerkhofs, the bishop of Liege. From 19 June, 1942 to 15 February, 1944 twenty meetings were held to decide on the personality of Mariette Beco and the supernatural origin of the apparitions. There was disagreement which resulted in hesitation. Mary Virgin of the Poor, You lead us to Jesus, source of grace, and you come to alleviate our suffering. We implore you with confidence: Help us to follow your Son with generosity, and to belong to Him unreservedly. Help us to welcome the Holy Spirit Who guides and sanctifies us. Obtain us the grace to look like Jesus every day more, so that our life will glorify the Father and contribute to the salvation of all. 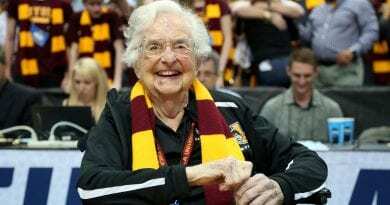 98 Year old Nun Heading to the Final 4 As Chaplin for Loyola-Chicago’s Basketball Team. 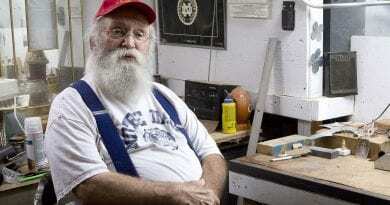 March 23, 2018 ryanmysticpost Comments Off on 98 Year old Nun Heading to the Final 4 As Chaplin for Loyola-Chicago’s Basketball Team. Medjugorje. Confessors are witnesses to unexplained events that happen. We’ll tell you some…Words spoken in a language the Priest could not understand – suddenly the words became an image before his eys. 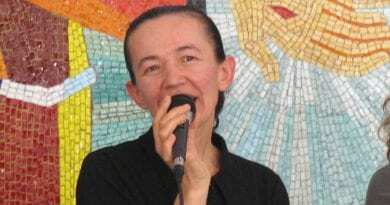 April 15, 2018 ryanmysticpost Comments Off on Medjugorje. Confessors are witnesses to unexplained events that happen. We’ll tell you some…Words spoken in a language the Priest could not understand – suddenly the words became an image before his eys. “Sancta Camisia” Did you know that the veil Mary wore while giving birth to Jesus Christ still exists?